Making research cheaper, accessible and mobile. Say goodbye to giant photo booths for 2D research. Take advantage of our deep learning experience, we have trained our A.I. to recognize and compensate for different lighting conditions. These features can be used to make research cheaper and more mobile. This is also the most accessible research software in the market. Great for startups looking to do research and product claims. Research subjects can send their images from home with our companion app. Find the right people for your study before they ever visit the office. For example if you are doing an acne study, we can categorize them by severity for your convenience. This allows faster and more useful subject acquisition. This can be done for any of our supported skin conditions. Create study & register panelist. Capture front, left & right profiles with white light. Capture front, left & right profiles with cross & parallel polarized light. Preview captured images, retake if required. Captured data will be saved on tablet and can also be synced to cloud servers. Browse through timepoints of panelists data. Use our included color chart to calibrate your device once for each lighting environment for accurate and repeatable color measurements. Safe white light can be used to find information on many layers of the skin. See deeper than any human with our scientifically processed polarized images and obtain true color measurements without shine pollution. 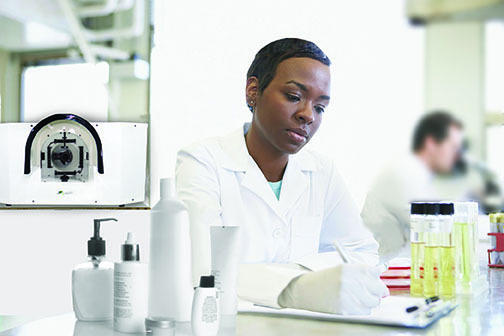 Get surface texture information for accurate skin roughness measurements and more.